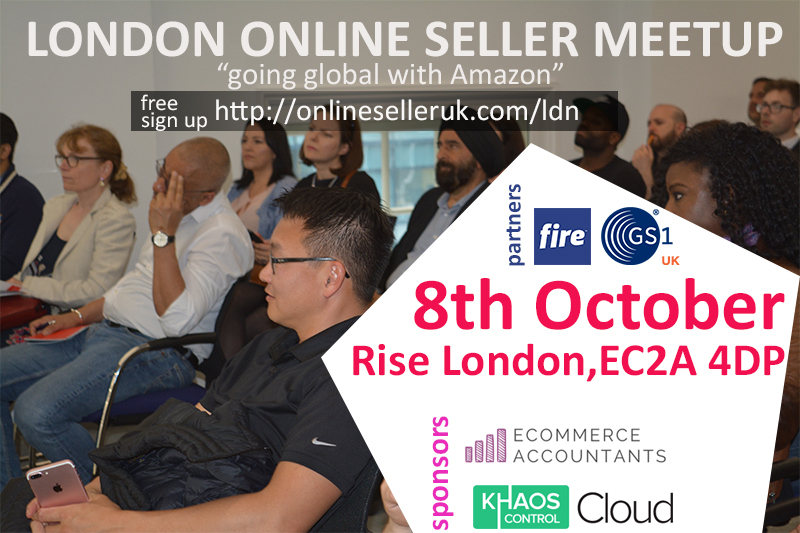 Our next London Online Seller meetup is on 8th October and it is going to be held at Rise, 41 Luke Street, Shoreditch, EC2A 4DP. Thanks to kind support from our sponsors Ecommerce Accountants and Khaoscontrol Cloud and partners Fire.com and GS1UK. The agenda for this evening is focussed on cross-border trade and there will be an opportunity for you to meet experts and other online sellers.